Salman Khan, Katrina Kaif's Ek Tha Tiger to have third part that will wrap up franchise? Salman Khan has been a part of a successful franchise Dabangg and is gearing up for its third installment. It was earlier reported that Sajid Nadiadwala's action comedy Kick 2, starring the superstar, is also reportedly slated to release on Christmas 2019. 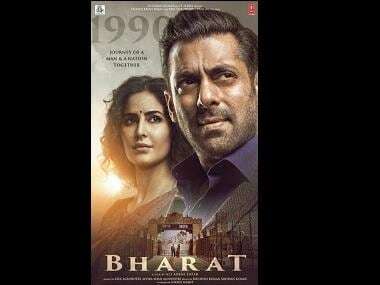 Now, Zee News reports that yet another franchise that Salman is an integral part of, is planning its third installment even before the second one has released. Salman and Katrina Kaif will reprise their roles from Kabir Khan's 2012 action thriller Ek Tha Tiger in its sequel, Ali Abbas Zafar's Tiger Zinda Hai, slated to release this Christmas. However, DNA reports that the makers will ensure that the climax of the sequel is designed in such a manner that there is room for the third installment of the successful Tiger franchise. The producer, Aditya Chopra, is looking for an apt script to carry the story forward but has made up his mind that the third part will wrap up the franchise. The same report states that Salman and Katrina will reprise their roles in the third part too as the story will take off from where the second part will end. The team behind the scenes is also likely to remain the same, including Zafar. But the third installment will not go on floors any time soon as Salman has his dates diary full till the end of 2019. Besides Tiger Zinda Hai, Salman has Remo D'souza's musical Dancer Dad, Dabangg 3, Kick 2 and Sooraj Barjatya's son Avinash's directorial debut in his kitty. Tiger Zinda Hai also stars Angad Bedi and Paresh Rawal. It is produced by Chopra's Yash Raj Films. 1Salman Khan, Katrina Kaif's Ek Tha Tiger to have third part that will wrap up franchise?